…I say smoothly because sometimes I feel like I have my eyes on what feels like OneHundredMillion things at once! I’m going to give you a mini report at the end of this post as in the things you may wish to Test in your own time. 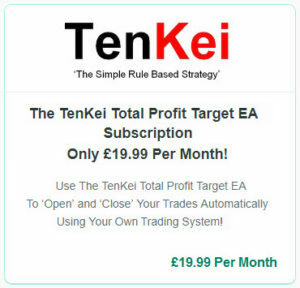 Anyway, here’s what happened this week, using the Contrarian and Continuation Trades, alongside the TenKei Total Profit Target. Just in case you did not realise, the Green Horizontal Lines in the screenshot above are there to separate the Trades for each day of the week, from Monday through to Friday. Now, there have not been too many Continuation Trades and I’m wondering if it’s to do with the stricter and tighter Codes I have enforced but I am looking into it because after studying the setups manually, I could see quite a few Continuation Trades that did not go through! 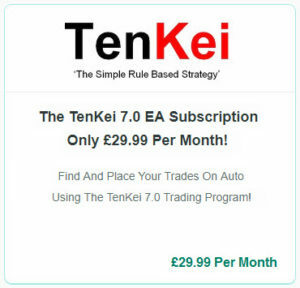 Also, there are still a few ‘False Trades’ lurking within and if only I could eliminate every ‘False Trade’ and ensure every Continuation Trade goes through as it should, this Automated Trading Program would be the ‘Work Of Art’ I am expecting to produce! 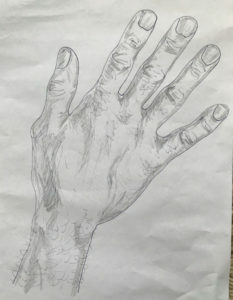 Well, the answer is yes, I am some sort of an artist and to prove it, here’s a picture of my ‘Right Hand’ I sketched whilst I was entertaining my next door neighbours children in a mini art lesson. …Does That Mean I’m Left Handed? 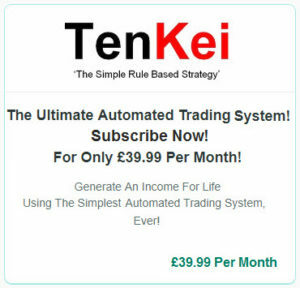 So, whether I happen to do a sketch, hammer a nail into a piece of wood or create a Fully Automated Trading Program, it has took look good, be straight and/or work according to plan! And maybe that’s why I pay attention to detail, I mean, I can’t help it, it’s in my DNA (Deoxyribonucleic Acid), it’s been ‘Programmed’ into me! In the meantime, I am once again in collaboration with my programmer as I’m looking for an even more detailed or perfect Trading Program, so what we have already must be improved! Do you remember the story of Henry Ford when he revolutionised the manufacturing of the first Ford car—the two-cylinder, eight-horsepower Model A, to then move onto developing the Model T Ford where over time, rather than increasing the price of his latest Model T’s, the price went down as the cars got better! Henry Ford paid attention to detail, just like we ‘ought to’! 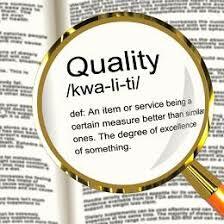 Anyway, enough of the history lesson, enough of the art lesson too but let’s see what transpires over the next few days or weeks as we look to scrutinise, improve and perfect what we do in love, life and praise and programming. Here’s Wishing You A Blessed Weekend! P.S. 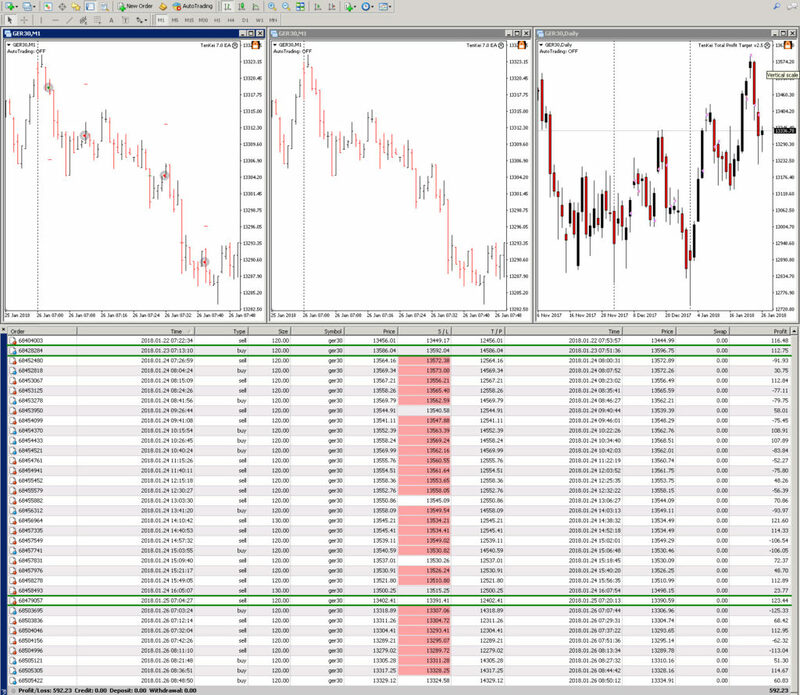 These are the setups that work well and are worth Testing (on Demo). The Contrarian 1Minute Chart (Going Long & Short) works well. The Contrarian and Continuation 1Minute Chart (Going Long & Short) works well. The Contrarian and Continuation 5Minute Chart (Going Long & Short) works well. The Contrarian 1Minute Chart (Long) works well. The Contrarian 1Minute Chart (Going Short) works well.